The Kaimei High School baseball club's reserve pitcher who is questioned as a potential suspect in the "Glass Man" investigation. He appears to be in a relationship with the club's manager, Sakiko and promised to take her to Koshien. 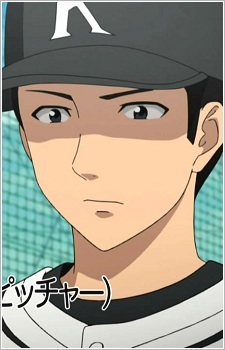 He has very poor aim and silently practices his pitching every morning despite not being a regular on the team.